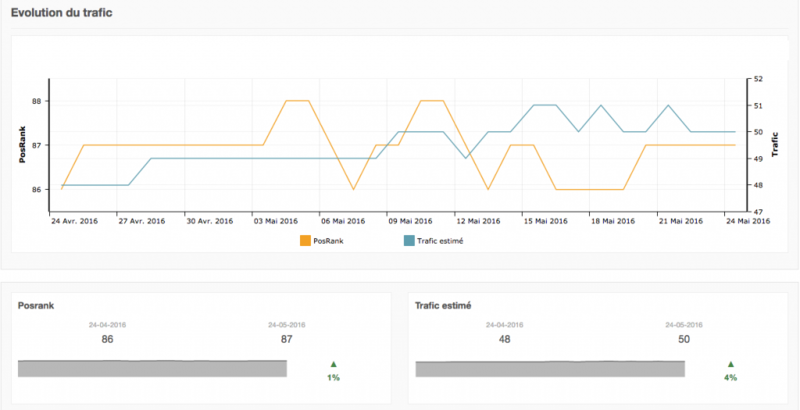 Myposeo is a tool that helps you to know if your site is present in the search engines results pages and to track the progress of the position of your keywords. Track and observe the evolution of your site on your keywords in Google. Observe the evolution of your site’s traffic via SEO. Offer to all your customers a simple and powerful tool for measuring their visibility. Add a white label option and pilot your SEO report with ease. Follow the positioning of your showcase or of your brand on search engines and analyze your competitors on the different business sectors you target. Analyze and track keywords that generate sales for your website. You can optimize your SEO strategy, manage and arbitrate your search marketing budgets.